Former journalist (and current journalism professor at Stanford) Joel Brinkley’s Cambodia’s Curse: The Modern History of a Troubled Land (PublicAffairs, 416 pp., $27.99) is a report on the author’s 2008 and 2009 visits to Cambodia. Brinkley had covered the Cambodian holocaust in 1979 for The New York Times, winning a Pulitzer Prize in the process. In this book, Brinkley offers a brief history of Cambodia, retells the tale of the Khmer Rouge’s Killing Fields, covers political events there in the 1990s and the early 2000s, and brings us up to date on what’s happening in that land today. Among his findings: As many as half of all Cambodians who were alive during the Killing Fields have PTSD, and the current leader, Hun Sen, is little more than a self-serving dictator. 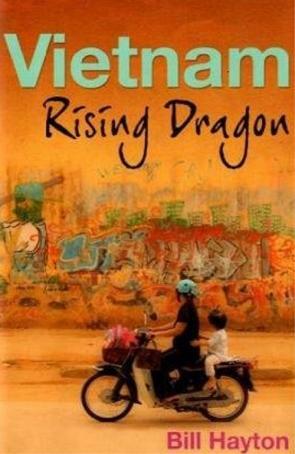 BBC News reporter and producer Bill Hayton’s Vietnam: Rising Dragon (Yale University, 254 pp., $30) is a report on the country of Vietnam circa 2006-07. Hayton, who was booted out of the country by the Vietnamese authorities, looks at Vietnamese society, economy,and its authoritarian (but capitalism-friendly) government. Hayton reports that the Vietnamese communist government is so intent on fostering good relations with the U.S. (mainly for economic reasons) that it has all but banned its veterans of the American war from speaking about it. Rye Barcott’s It Happened On the Way to War: A Marine’s Path to Peace (Bloomsbury, 341 pp., $26) is a well-told, uplifting story concentrating on the author’s pioneering work fighting violence, disease, and poverty in Kenya. Barcott, a former Marine who served in Iraq, Bosnia, and the Horn of Africa, was inspired to go Semper Fi by his father, a sociology professor who served as a platoon leader in the Third Marine Reconnaissance Battalion in Vietnam. The dramatic story of the chaotic last days of the Vietnam War late in April of 1975 has been told more than a few times in books, magazine articles, and documentaries. The newest book that tells the tale of the evacuation of the last American civilian and military personnel, along with thousands of Vietnamese civilians, is Last Men Out: The True Story of America’s Heroic Final Hours in Vietnam (Free Press, 304 pp., $26). This readable tome focuses on the Marine Security Guards in Saigon and in a handful of provincial capitals and the nearly impossible job they faced as the North Vietnamese Army moved in on the U.S. Embassy and as Ambassador Graham Martin dithered while Saigon burned. It is an absorbing tale, filled with selfless and courageous actions by many of the Marines. Authors Bob Drury and Tom Calvin relate the experience in docudrama style, replete with much reconstructed dialogue and hyped-up prose. “Nothing,” the authors say, “has been invented or recreated here.” But with only a few paragraphs listing sources and nary a footnote, it’s impossible to determine whether or not everything that is presented is factual.